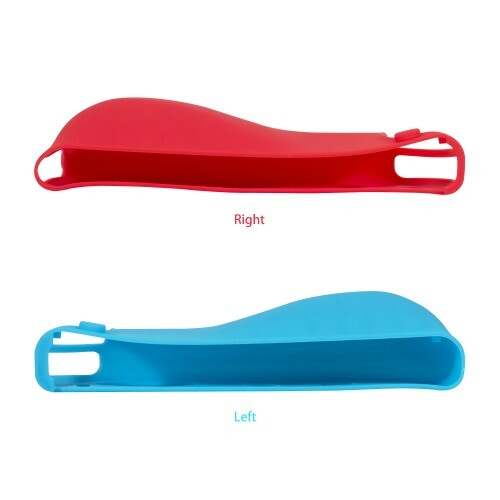 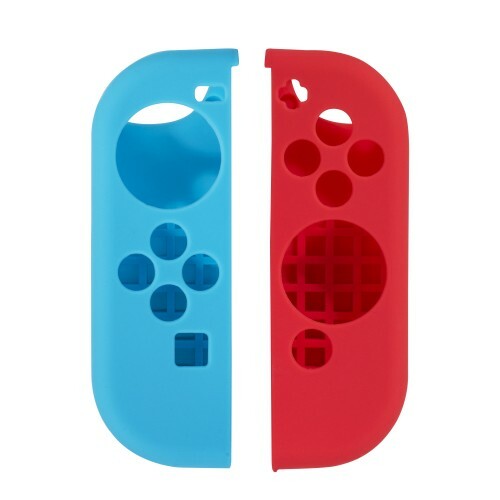 Switch Joy Con Grip Guards, Keten Nintendo Switch Anti-slip Silicone Joy-Con Guards (Red/Blue) & Thumb Caps, Silicone Protective Cover for Console . 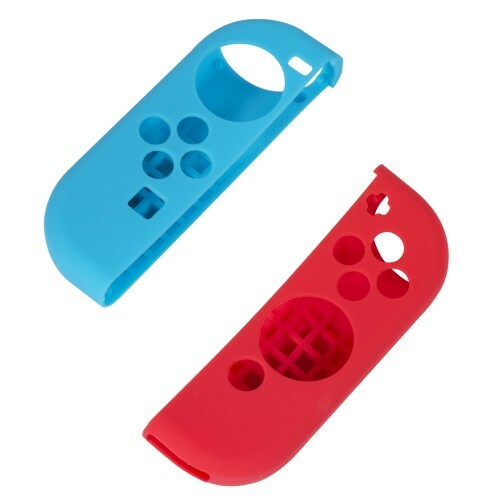 1.Specifically designed for Nintendo Switch Console and Joy-Con Controller. 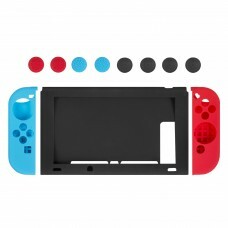 2.Keep your console and Joy-Con from dust, hand sweat, bump and scrape. 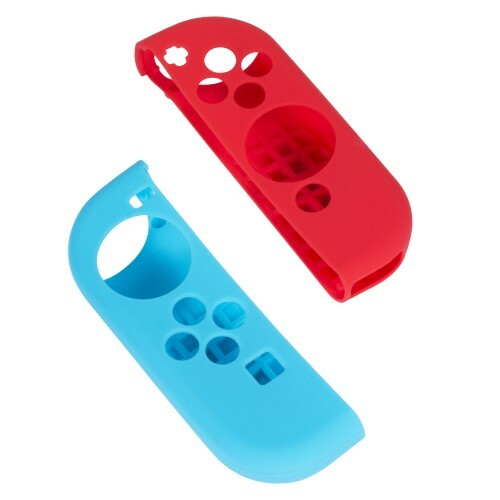 3.Made of silicone gel, feeling soft and comfortable when holding the Joy-Con while playing. 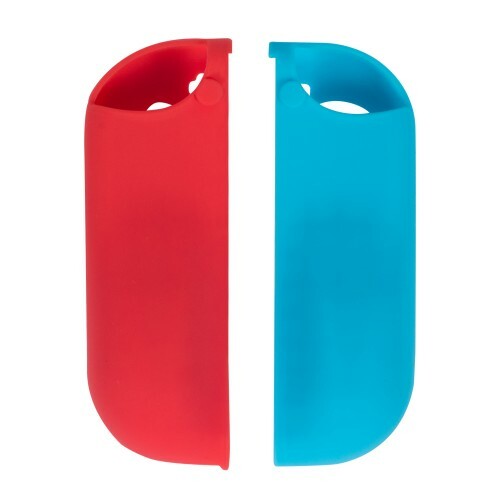 4.Easy to install, removable and washable. 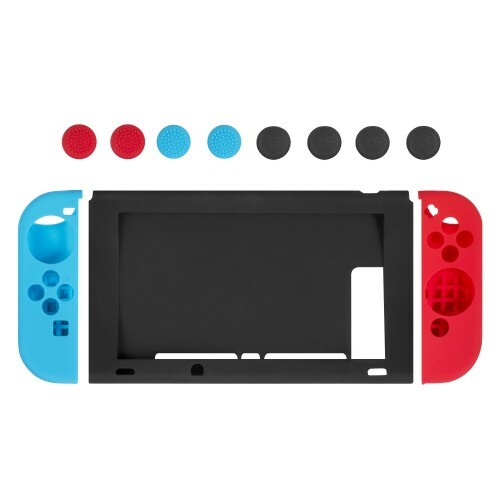 5.Package included: 1 x silicone protective cover for console (Black), 2 x silicone Joy Con guards (Red/Blue) and 8 x thumb caps (Red/Blue).